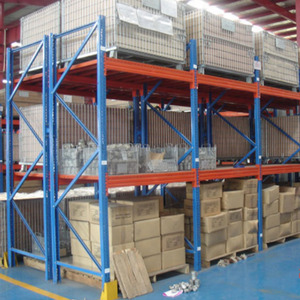 The racking is mainly used together with pallet and the common forklift. Goods are packed on the pallet, then the pallet is deposited or picked up from racking by forklift easily and freely. It is widely used in warehouse,supermarket,distribution centers and other logistic places. The delivery time of the special products is according to the time of setting up of the tooling. Main rack is the start rack with 2 uprights and add on rack is the continue rack with only 1 upright. Q: What is the manner of packing9 A: Generally, shelves are flat packed by air bubble film/ film in standard export cartons. size----storage rack Warehouse Heavy Duty Dry Goods Display Steel Storage Rack 1. Item NO. : 2. Material :cold rolled steel 3. Surface treatment: powder coating. 6. tire China Factory Good Price Stacking Storage Truck Tire Rack made in china. Item No. Pallets are loaded from the top end and roll forward under the force of gravity when a pallet is retrieved from the bottom end. Can be adapted for either pallet or carton applications. Can be adapted for either pallet or carton applications. 6 YRS Nanjing Better Metallic Products Co., Ltd.
3 YRS Ninghai Firebird Import & Export Co., Ltd.
Q3: Do you have any discount for large quantity order9 A: Yes, we do have a huge discount for large qunantity order and our old clients. Q4:What about the delivery time9 A: Generally speaking, It takes 25 days to get your cargo to your port. 4),Any other information ni think will help us to get your a best solution. Warehouse Tubular Storage Tyre Racking Tyre Racking is used for stacked storage of tires for heavy trucks, buses and farm machinery. This versatile and economic modular warehousing solution is very popular. It is equipped with four removable corner posts to reduce shipping costs and save space in the tire warehouse during slower periods. 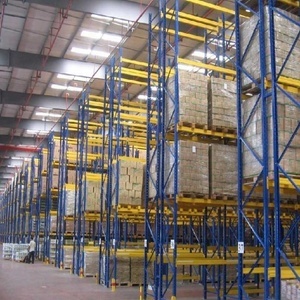 Alibaba.com offers 31,572 warehouse storage system products. About 68% of these are stacking racks & shelves, 23% are cargo & storage equipment, and 1% are storage drawers. 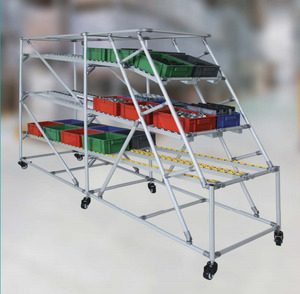 A wide variety of warehouse storage system options are available to you, such as multi-level, vna pallet rack, and boltless / rivet shelving. You can also choose from warehouse rack, garage, and industrial. As well as from steel, plastic, and stainless steel. And whether warehouse storage system is ce, gs, or rohs. There are 31,572 warehouse storage system suppliers, mainly located in Asia. The top supplying country is China (Mainland), which supply 100% of warehouse storage system respectively. Warehouse storage system products are most popular in Domestic Market, Southeast Asia, and North America. You can ensure product safety by selecting from certified suppliers, including 12,848 with ISO9001, 3,754 with Other, and 3,328 with ISO14001 certification.